Through our suppliers, we provide a wide variety of countertop options for you to choose from. 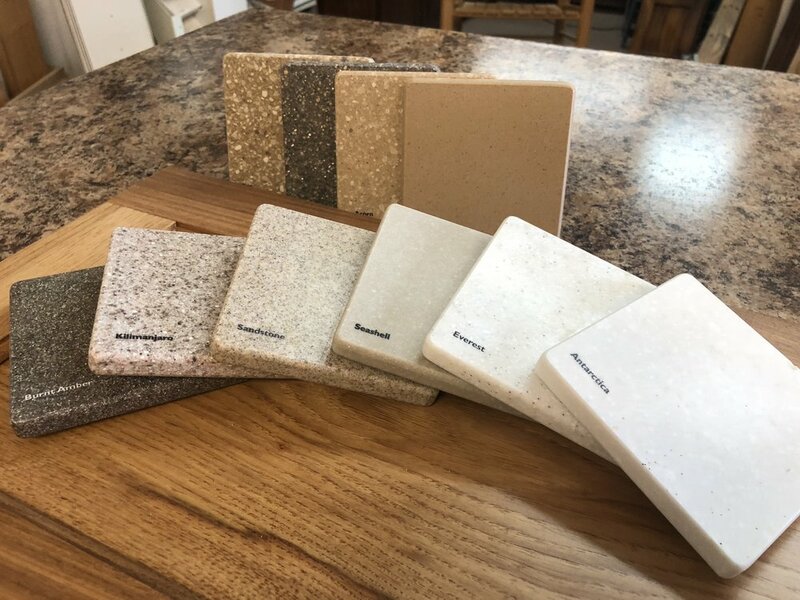 From granite to laminate, we surely have plenty of options and knowledge to help you make the best decision for your cabinet needs. Below, we have provided some examples of the types of countertops we provide in order to inform you of your options. If you have any questions, come visit us in our showroom or contact us today! Granite countertops have a long reputation as high quality surfaces perfect for kitchen, bath, and furniture settings. Available in a wide variety of colors, there is almost certainly a stone out there that is exactly what you are looking for. Laminate countertops are a staple in the cabinet industry for a quality look and feel at a budget price. 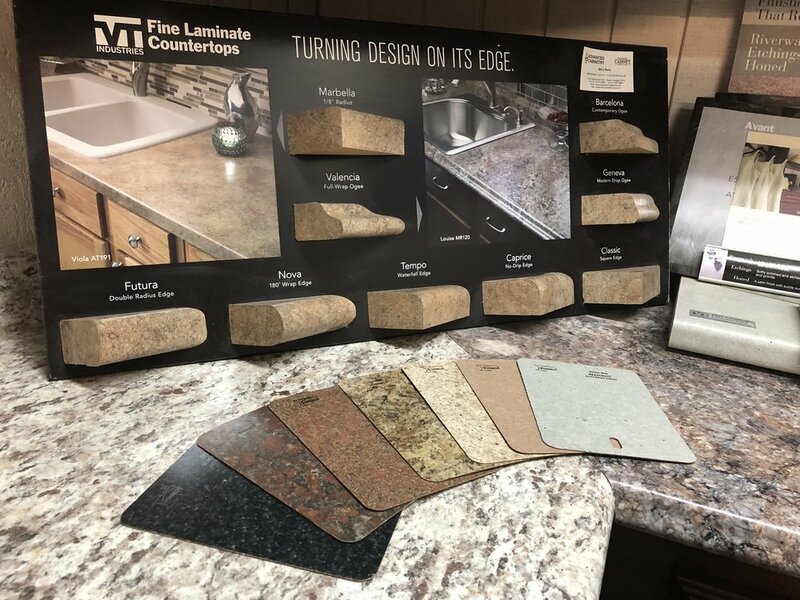 We source our laminate tops from Formica and Wilsonart, and each provider has a variety of colors and edge designs available. Solid surfaces such as Corian and similar products are synthetic materials that offer a wide array of color options. Visit our showroom to discover the bountiful color palate of this popular material. Quartz, also known as man-made or synthetic granite, is a high durability surface material while closely maintaining the natural look of stones such as granite. This high quality material is a growing favorite, and we have many samples in stock at our showroom. This man-made material is specially designed to mimic the look of natural marble. 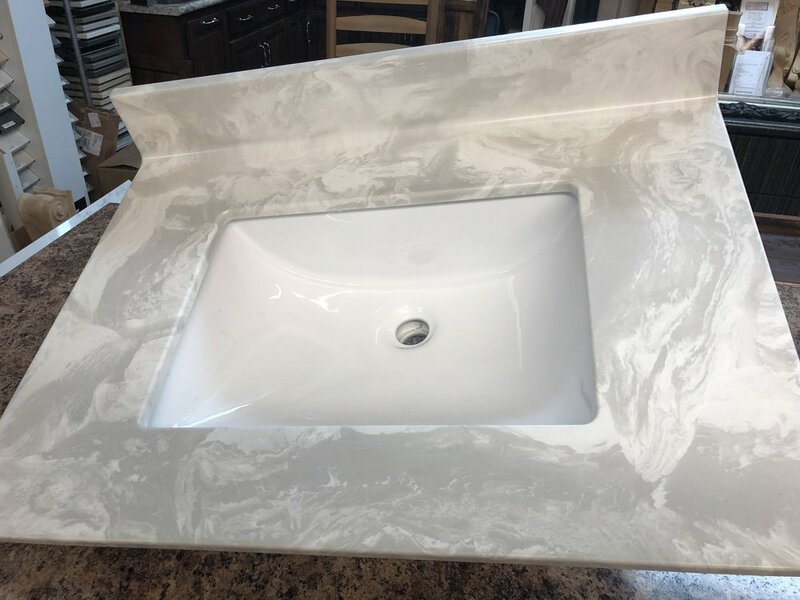 This variety of countertop is exclusive to bathroom vanities and can be fitted with an undermount sink. Our showroom is stocked with sample books containing copies of many of the available colors.